As recently as the late 1950s, 80% of Americans taking part in a survey by the University of Michigan believed that people who preferred the single life were, among other things, “sick,” “immoral” or “neurotic.” At the time, such pronouncements could be viewed as a product of their time, given that 70% of adults were married and divorce, when granted, was still viewed with eyes of suspicion. 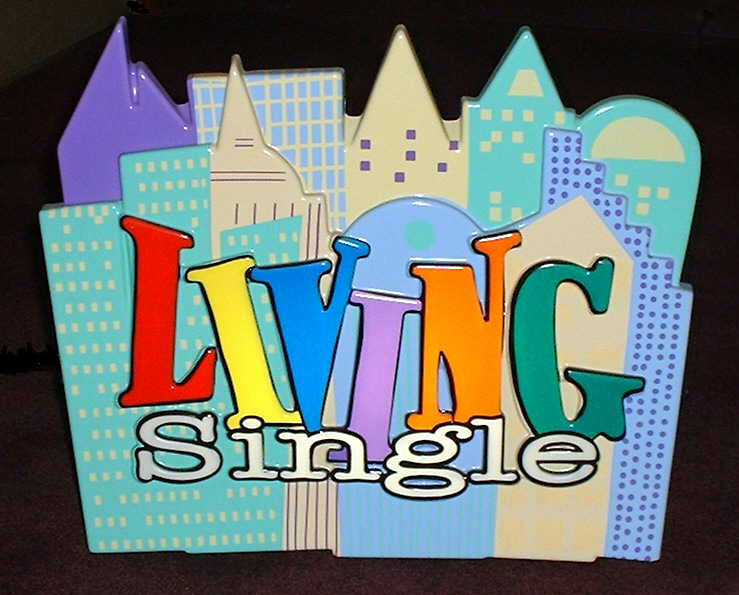 Fast forward to today, however, and the rise of single living has become one of the most important generational changes of the last 50 years. According to the most recent Census Bureau statistics, just 51% of adults today are married, putting singles within shouting distance of becoming a majority cohort. Moreover, 28% of the country’s households now include just one person, which has doubled since 1960 and is the highest in U.S. history. And this trend isn’t just confined to the U.S. – single-person households account for 50% of the total in cities like London and Paris and even higher (60%) in Stockholm. Although semi-hysterical books such as “Bowling Alone” and “The Lonely American” have portrayed single Americans as threats to wealth, well-being and longevity, New York University Professor Eric Klinenberg begs to differ. 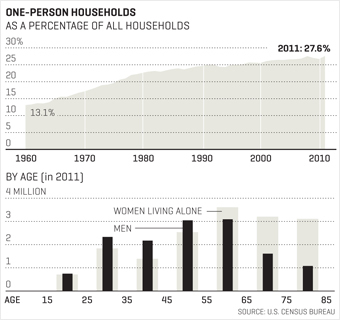 In his new book, “Going Solo: The Extraordinary Rise and Surprising Appeal of Living Alone,” Klinenberg, writing in Fortune magazine, argues that most people who live alone do so by choice, and this freedom is driven in large part by their higher discretionary incomes. According to federal consumer expenditure surveys from 2010, singles spent an average of $34,471 per person, or 23% higher than married folks without kids ($28,017) and 49% higher than highest-spending families with children ($23,179). In other words, take increasing numbers of singles, multiply that by their higher incomes, and what you get is rising economic clout that the Bureau of Labor Statistics estimates to be as high as $1.9 trillion. While most corporations have been slow to take notice of this gradual demographic shift, there are certainly exceptions to the rule including Coldwell Banker, Lowe’s, Chevrolet and even the diamond merchant DeBeers. 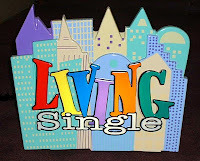 Apparently they already know that singles are more likely to eat out, join a health club, take classes in art and writing, attend public events and volunteer in the community. Perhaps most important of all, single households also play a crucial role in revitalizing cities and giving life to public spaces, often as part of social networks called “urban tribes,” which often substitute for traditional families. One major builder investing heavily in this demographic is The Related Companies. 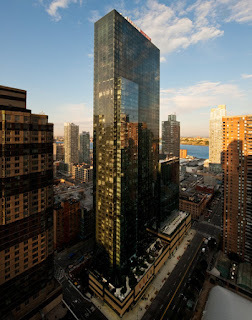 Last year, the company opened MiMA (“Middle of Manhattan”), a 63-story high-rise including luxury (and ultra-luxury) apartments, a 633-unit “Yotel” with its own bar scene and offering micro ‘cabins’ to rest and relax, an Equinox health club, outdoor screening space and three party rooms. To make the project a cultural destination, Related brought in architect Frank Gehry to design a new multi-purpose space for The Signature Theater Company along with a café and a bookstore. The idea is that residents here not need to venture off-site for a training session, a movie screening, a drink with friends or even an off-Broadway play. Of the total 814 apartments available at MiMA, most are studios or one-bedroom floor plans, and nearly two-thirds of its occupants live alone. Even with rents starting at over $3,500 per month, 90% of inventory was leased within six months. It, too, will target not just another tenant but households with more than $100,000 in income who are seeking the lifestyle which revolves around one of their apartments. Of course singles also buy homes, and that is attracting the attention of both brokers and builders. Today, single households buy one-third of homes and, according to the NAR, unmarried men and women account for 10% and 21% of all buyers. Interestingly, despite their higher incomes, men in their thirties and early forties show little interest in buying a home, while women increasingly look to homeownership as a way to graduate to the next life stage of total independence. Then, and only then, will many of them even consider partnering up with a significant other. 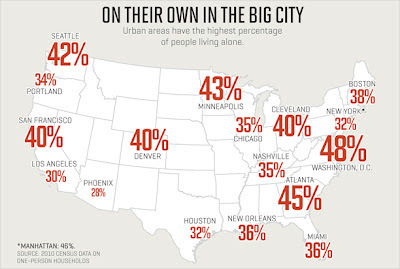 Given that single women living alone and age 18 to 34 years make up the fastest-growing demographic group – rising from 500,000 in 1950 to 5 million today – housing providers which target them with the right mix of floor plans, amenities and similar neighbors will likely be at the forefront of a trend that will be with us for some time. For many, being single is a distinct advantage.